Large and in charge, the Vinnie Paul signature snare takes a wood snare to its tonal extreme. 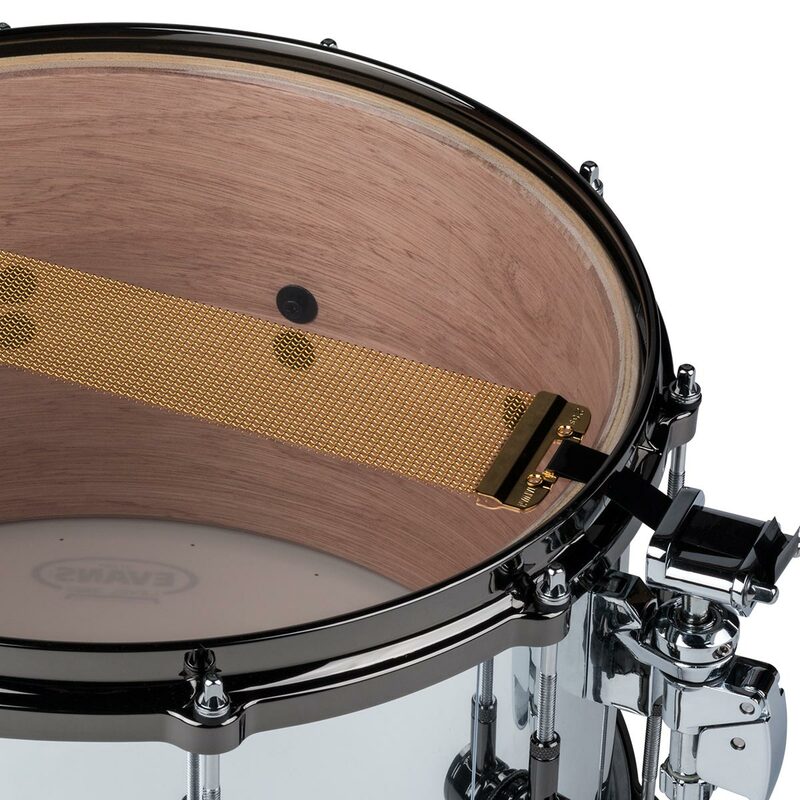 Crafted from 6 plies of alder and 2 plies of maple, the snare delivers a thunderous punch to the chest, with a high caliber crack on top. 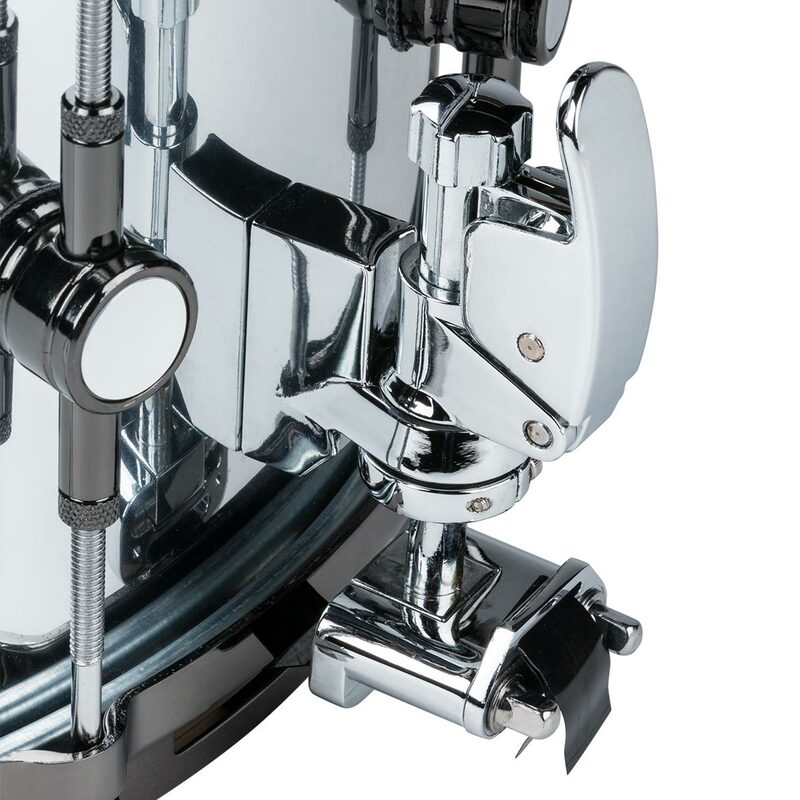 The 10 face off lugs, combined with the die cast hoops to add tuning stability and provide a solid rim shot sound. 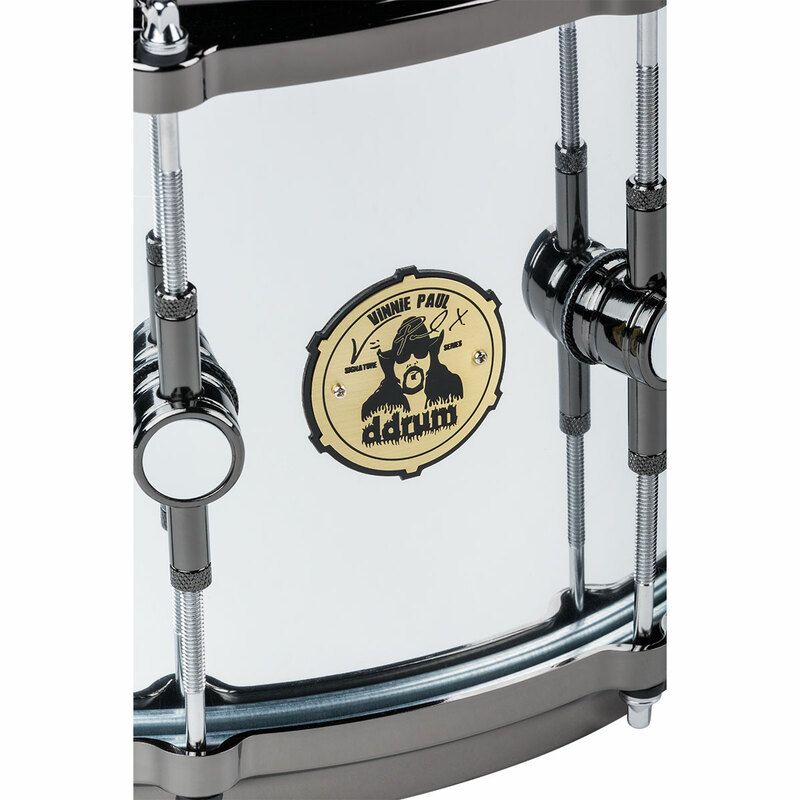 Available for its initial run in a chrome wrap with black nickel shell hardware to complement and enhance any finish kit to which it is added. 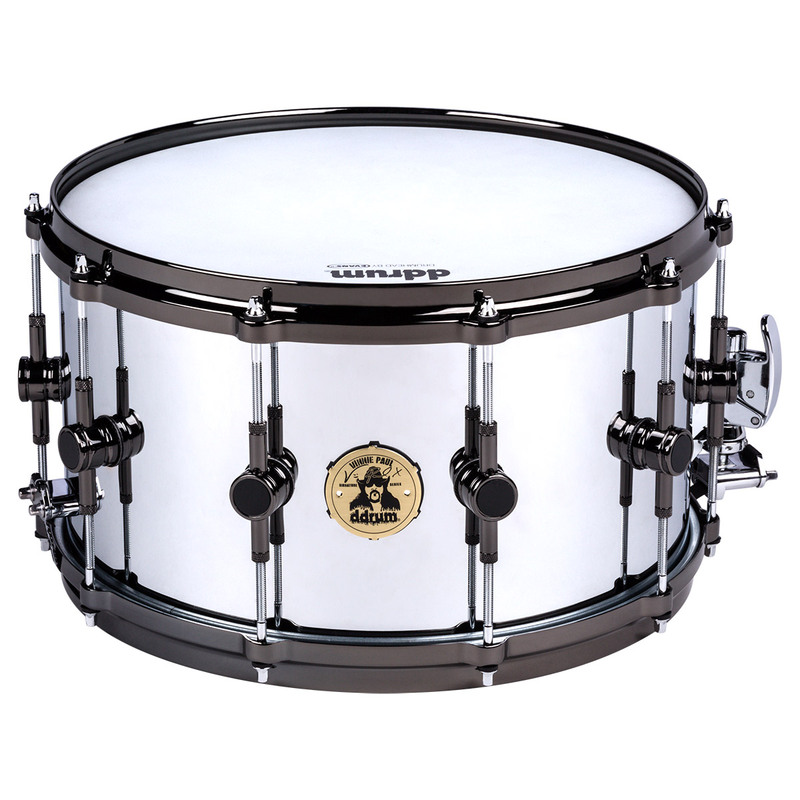 Dunnett R4 snare throw off completes this heavy hitting package.